Using statistics in youth sports is crucial to success. Even the most experienced coaches cannot track every important sport stat just by observing players. Baseball in particular is a game of numbers, and making decisions based on those numbers can make the difference between a win and a loss. Pitcher fatigue is an issue that has large ramifications. Throwing too many pitches can strain a young pitcher’s arm and cause injuries that may prevent them from playing in the future. To avoid potentially permanent injury, coaches must use sports statistics software to act when a pitcher has thrown too many pitches or is at risk of injury. The ability to hit with runners on base can feel entirely different than hitting with no runners. Especially with young athletes, the pressure to bring in runners can affect performance at the plate. A sports statistics app allows a savvy coach to pinpoint which players can bat in these high-pressure situations. Stolen bases are abundant in youth baseball. Wild pitches sometimes result in steals, but real ones come from coaches that know which players have the wheels to beat throws. Differentiating which players are fast enough to steal bases on normal pitches versus only on wild pitches can make the difference between extra bases and unnecessary outs. Knowing that different players respond differently to high-pressure situations, this one deserves special attention. Your sports statistics app may reveal that nine times out of 10 a certain pitcher throws the final ball on a full count. Armed with this new information, you can teach this player how to overcome the full count jitters and finish strong! As we know, full counts are stressful. Your statistics tracker software can track who is struggling with the full count jitters. 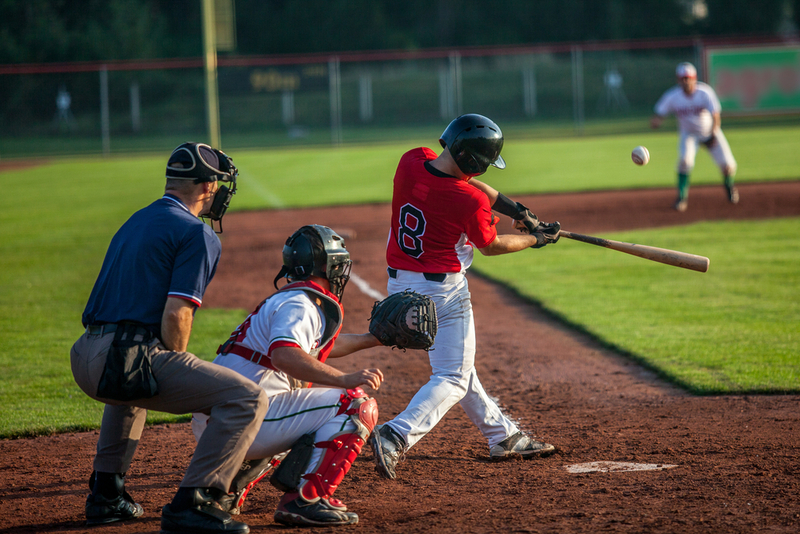 Focusing your attention on these players is the most effective way to create a well-rounded batting order and team! I know you’re thinking, “Of course we track batting average!” But are you utilizing it properly? Batting average alone does not tell you enough information. It is important to pair that information with other statistics such as on-base percentage and slugging percentage. The lesson here is use multiple statistics to paint a comprehensive picture of a player’s performance. Tracking progress over time is one of the most important functions of a statistics tracker app. Whether it’s an increase or a decrease in a statistic, tracking over time allows for focused training and praise. While all these statistics would make for a sweet baseball card, remember what youth sports is all about: fun and personal growth! Don’t take the stats too seriously and keep in mind why we sign our kids up for team sports in the first place: for the love of the game. TeamSnap is a state of the art solution to the chaotic world of youth sports. With a mobile app and desktop website, TeamSnap provides many features that bring sanity back to sports for millions of users. Features include rosters, schedules, availability, messaging, payment collection and, of course, the all-important statistics tracker. It’s time to put the outdated clipboard and pencil down. Start your free 21-day trial of TeamSnap today! Adam Shafer is a Sales & Marketing Intern at TeamSnap. He’s a rising senior at CU Boulder studying marketing as well as technology arts and media. He’s been involved in sports throughout his childhood and into his college years, from 10 years of youth baseball to an intramural broom ball championship. In his free time he loves hiking in Rocky Mountain National Park and scuba diving in the Caribbean. And one time he met Jerry Seinfeld.